Bring your Imagination to Life. Your premier source for scripts, mesh, animations, content creation and business resources for the Second Life™ Metaverse. New scripts: Bento Faces BASIC and PRO. Facial Expressions. New mesh kits: Standing candelabra and exterior light... And new group gift! The Liaison Collaborative opens its doors at 3 PM for its April round: Rainy Days. We're participating with two new releases: the Rainy Days Window Nook photo prop and the Rainy Days decoration set. 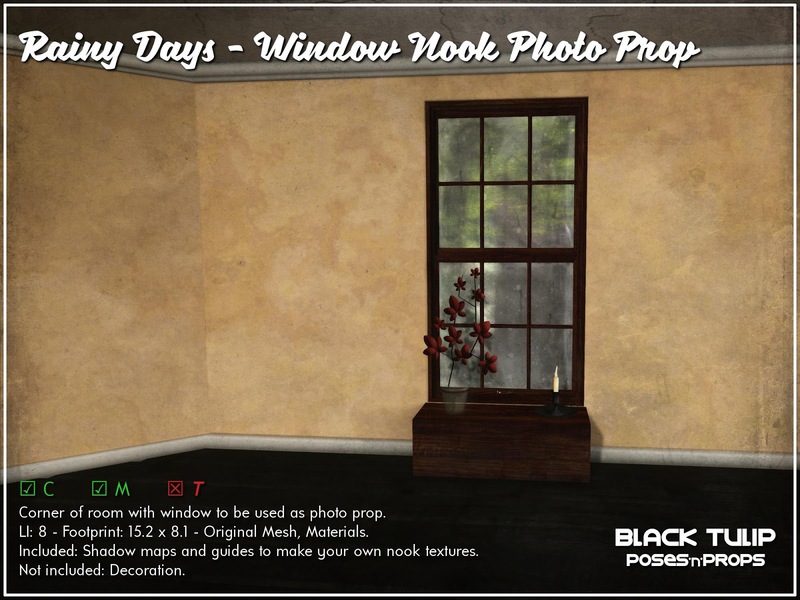 The photo prop is a room section with a rainy-textured window. You can change the textures if you want: (AO) shadow maps and (UV) guides are included in the package. 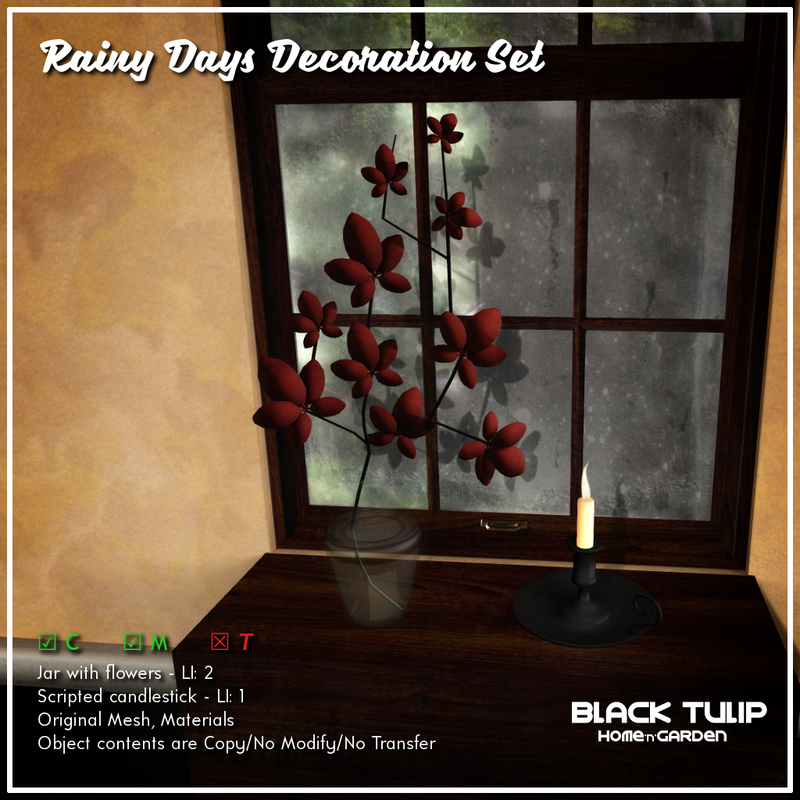 The decoration set includes a scripted candlestick and a jar with water and flowers. Everything is set 40% off its price during this round at the event location. Click here for your taxi!